My Lords, to continue on that theme, the gracious Speech made no mention of the Palestinian-Israeli dispute, perhaps because it seems so intractable. I want to mention two new, ambitious but viable projects for reconciliation and ask Her Majesty’s Government for their involvement in them. The United Kingdom is in a unique position to move things forward, and it would be in our interests to do so. The first is a movement called Two States One Homeland, which asks for the people of both sides to understand the narrative of the other as their genuine beliefs and accept them with compassion. Many Israelis now accept that the Palestinians believe that the 1947 declaration of the State of Israel was a Nakba to them—a disaster—and that the region is their homeland and they want consideration of their right to return. Many Palestinians are accepting that the Israelis believe that from biblical times the whole area was their homeland and living in parts of the West Bank is precious to them. They each regard the whole region as their homeland, but they know that they cannot live together as one comfortably in one state, so they agree to two states: a state of Israel, a state of Palestine and a confederation of these two sovereign states. Two States One Homeland is a project currently on the move. The best international lawyers are agreeing to help the people on both sides to work out a constitutional settlement for each of the two sovereign states and jointly to create an overall constitution for the new confederation. International security experts and experts from both sides are deciding how the separate countries can run their own military and police forces and how, in addition, there will be a joint military and policing authority working across the two states. On trade and investment, finance and currency, there is a team of Palestinians, Israelis and international corporations planning to invest in the region, particularly in the new Palestinian state. On the holy sites, rabbis, bishops and imams are working together with compassion and within their own golden rule to create a system whereby the sites are open for the benefit of all peoples, who are treated with due respect. There are groups working on this project on education, health and welfare and sustainability and ecology. Secondly, alongside Two States One Homeland, there is a team in Israel and Palestine promoting a regional plan.The Arab peace initiative, the API, of 2002 was at the time an all-in-one, take-it-or-leave-it offer to which Israel did not respond. The new team presented in 2011 an Israeli peace initiative, an IPI, that accepts the API as a framework for Israeli-Palestinian regional negotiations. The IPI team is non-left and non-right—it is the pragmatic centre-thinking in Israel, with 1,800 prominent Israeli signatories, including ex-military and ex-security figures, diplomats, scholars, Middle East experts and business leaders. They have been talking for some time with the 22 Arab countries which we hope would support those projects. Together, they have developed a regional diplomatic proposal to resume negotiations, leveraging the API and the IPI. They are about to begin the development of a regional economic plan to invest tens of billions of dollars building infrastructure projects, agro-industry, water and energy plants, health and education establishments and new cities. “Egypt will be quite ready to play a sincere and responsible role to help set up a real opportunity for this cause … I say to the Israelis and the Palestinians that there is already a great opportunity for a better life, a better future for greater stability and real cooperation. Shall we seize that opportunity and move forward?”. He has invited the leaders of both countries to come to speak to him and his people in Cairo. The IPI team is also connecting Jordan, Palestine and Israel together with the kingdom of Saudi Arabia and theUnited Arab Emirates. The aim is that this whole contiguous region, containing one-third of all the people living in the Middle East—150 million people—will benefit from work, welfare, health and education and human rights. We also have media partners who will act responsibly not by talking up war and killing in order to inflate their ratings but by reporting on the processes, described here, in informed, even-handed, compassionate and positive terms. Would Her Majesty’s Government consider convening a meeting of leaders and experts, with whom we are working on all sides to develop these two concepts; to use our soft power, the British Council, in education at all levels; to help them to build universities with British standards; in health, to plan and build hospitals and systems; and to have UKTI encourage our business community to become involved in these developments and investments? In 1947, the UN declaration was to form two equal entities; in 1967 there was a war, in which I was a volunteer, which broke that apart. Can we get together and make 2017, the 70th anniversary of the UN declaration and the 50th anniversary of the war of that split it, a year when we begin, collectively, to heal the rift? The Arab Peace Initiative was introduced at the Beirut Summit of the League of Arab States in 2002 laying out a framework to achieve the normalisation of relations between the entire Arab World and Israel. Since that date, not a single one of the 22 original signatory states have withdrawn their support. The Arab Peace Initiative envisages a final settlement in the form of two coexisting, self-sufficient, autonomous and sovereign states – Israel and Palestine. In today’s Middle East, we witness ongoing religious and political radicalisation, much of which is a product of violence and disenfranchisement. A settlement between Arab governments, including the Palestinians and the Government of Israel, is ever more vital as a means to tackle both regional and global conflict. In May 2015, Israel’s Prime Minister Benjamin Netanyahu remarked that although the Arab Peace Initiative was 13 years old and that “[t}he situation in the Middle East has changed since it was first proposed… the general idea — to try and reach understandings with leading Arab countries — is a good idea.”. This document aims to update the Initiative by dealing with the current political climate and serve as a springboard for a renewed effort to pursue the central goals of the original document. The Arab Peace Initiative remains the most promising framework available to end the current deadlock and bring political stakeholders from all sides to the negotiating table. Comprehensive peace will require multilateral negotiations and agreement will need to be reached through mutual concessions. The Arab Peace Initiative has proved particularly daunting to those involved due to the fact that it suggests an approach whereby all sides agree to all required concessions once and for all. Therefore, in order to achieve the level of rapprochement envisioned in the Arab Peace Initiative, this version of the proposal suggests a phased, step-by-step implementation. The following proposal aims to initiate and facilitate a dialogue leading to peace agreements between Israel and the Arab World profitable for all. The proposal envisages the resumption of negotiations between the governments of Israel, Palestine and other Arab governments where necessary over the final settlement of the main issues of concern. The central factor in the success of this proposal will be multilateral engagement from all parties. Outright rejections, failures to compromise and muted reactions have derailed the Peace Initiative in the past. Active contribution, discussion and problem solving are crucial if we are to move forward beyond the current deadlock. The following proposal sets out recommendations as to how the Arab Peace Initiative might be implemented through seven phases. Particular concern has been made to ensure relative parity in regard to the concessions made by both sides at each stage. The concessions chosen in Phase I are the most straightforward to implement and do not require any of the parties involved to move away from their current position. This is designed to establish mutual trust between the parties involved in order to smooth the way for final status negotiations on more complex and demanding issues following in Phases II – VII. The implementation of the Arab Peace Initiative will finally be enshrined through the signing of a formal comprehensive peace agreement. The recommended steps for implementation in this phase are selected because they are relatively straightforward and yet aim to build confidence. Palestine to be declared an independent state by the United Nations Security Council and accepted as a full member of the UN with its borders undetermined. This follows the model by which Israel was accepted into the UN (in 1948 Israel declared independence without agreed borders, without a capital, and without a constitution). The State of Israel to be fully recognised by the following countries participating in negotiations who have not already done so but that already accept the passports of citizens of the State of Israel: The Kingdom of Bahrain, the Union of the Comoros, the Islamic Republic of Mauritania, the Kingdom of Morocco, and the State of Qatar (for the existing status of member states of the Arab League in regard to Israel see footnote). An international fund for Palestine to be created. This would commit the international community to economic and financial support for the Palestinian territories, especially the Gaza Strip, with the aim of establishing a self-sufficient government independent of external aid. This fund might be modelled on the International Fund for Ireland (IFI). The recommended steps for implementation in this phase are selected because again they are again comparatively easy. Superficially it may seem there are more concessions by Israel, but these concessions are nothing to which Israel has not previously agreed. Cessation of settlement construction by Israel in the West Bank and East Jerusalem. Handover of control of the land located in Area B to the Palestinian Authority. Area B is chiefly composed of an estimated 440 Palestinian villages and rural lands. It is currently under Palestinian civil control while Israel and the Palestinian Authority jointly handle security control. There are no increased security risks for Israel if it decides to leave security control of Area B to the Palestinian Authority. Palestinian territories would remain surrounded by territories over which Israel has exclusive security control. Passports from the State of Israel to be fully recognised as acceptable by the following countries participating in negotiations and which have had a history of some de facto relationship with Israel, as a prerequisite to subsequent recognition: the Sultanate of Oman, and the Tunisian Republic. Arab League member states to pledge to end anti-Semitic propaganda in the media. The recommended steps for implementation in this phase are inevitably subject to negotiation. In the absence of negotiations the choices indicated below are the subjective preferences of the editors of this paper who contend that dealing with the Jerusalem issue at this comparatively early stage makes subsequent negotiations less daunting. For purposes of municipal administration, Jerusalem to have separate administrative offices for West Jerusalem and East Jerusalem (the existing overarching municipal council remains). Establishment of a joint committee consisting of Israeli, Palestinian and international (UN) representatives to advise on the administration of the city. Security arrangements for Jerusalem to be negotiated under the auspices of this committee (Israeli patrols/Palestinian patrols/joint patrols to be utilised where appropriate). Special arrangements to be implemented in the Old City, ensuring that the Jewish Quarter and the Western Wall will be administered by Israel. Similarly the Temple Mount/Haram al-Sharif to remain under a special arrangement, ensuring that the Moslem Waqf will administer Islamic holy places. Once the joint committee decides that arrangements have been sufficiently implemented, the USA to consider both relocating their presence in Israel from Tel Aviv to West Jerusalem and establishing an embassy in East Jerusalem, as a prerequisite to subsequent UN Security Council recognition of Jerusalem as the indivisible capital of Israel and Al Quds as the indivisible capital of Palestine (any separation of local administration being at a mere de facto level and shared sovereignty being the de jure practice). The Palestinian Authority may relocate its headquarters to East Jerusalem. Passports from the State of Israel to be fully recognised by the following countries participating in negotiations as a prelude to subsequent recognition: People’s Democratic Republic of Algeria, Republic of Djibouti, Iraq, the State of Kuwait, the State of Libya, the Federal Republic of Somalia, the Republic of Sudan, The United Arab Emirates and The Republic of Yemen. The refugee issue need not be contentious if dealt with in negotiation with care and consideration by all concerned. Again, it is recommended that it be dealt with at this stage rather than left as a stumbling block at the end. For similar reasons, the Sheba Farms issue is flagged up at this stage because by doing so the avenue to future negotiations is simplified and confidence is built. All parties to agree that Jews have the right of return to the State of Israel and Palestinians have a corresponding right of return to the State of Palestine. Israel to take into its territory several tens of thousands of Palestinian refugees (a number not to exceed 100,000 and to be agreed by negotiation – the vulnerable, i.e. the very young and the very old, to be given priority), all of whom have family members living inside Israel. Those Palestinian refugees who have not been granted third country citizenship to be offered either compensation or nationality and resettlement through a committee under the auspices of Canada. Israel to withdraw from the occupied lands known as the Shebaa Farms and their environs. The State of Israel to be fully recognised by the following countries participating in negotiations who have not already done so: the Sultanate of Oman, and the Tunisian Republic. The recommended steps for implementation in this phase involve land swaps and necessitate complex negotiations. However with both the Jerusalem and Refugee issues at least in part resolved, this phase should be less contentious than it might otherwise have been. The largest settlements in Area C to be exchanged on a 1:1 basis, taking into account both quality and size of the land in question. Land swaps cannot exceed 7% of the West Bank. A safe corridor administered by the PA to be established connecting the West Bank and the Gaza Strip. Land located in Israel used by the corridor would feature in land swap agreements. Pledge to resume peace talks between Syria and Israel on a final status agreement on the issue of the Golan Heights when possible in the future. The State of Israel to be fully recognised by the following countries participating in negotiations that have not already done so: People’s Democratic Republic of Algeria, Republic of Djibouti, Iraq, the State of Kuwait, the State of Libya, the Federal Republic of Somalia, the Republic of Sudan, The United Arab Emirates and The Republic of Yemen. The recommended steps for implementation in this phase involve concessions by Israel. However they should be regarded as a precursor to the full recognition is phase VII. Furthermore the trade concession commended for this stage would of itself be a major and radical step on the part of the Arab World. Opening of the existing port in Gaza for trade and agreement by all parties to the construction of the new Gaza seaport. The full reestablishment of goods movement in and out of Gaza through available crossings (i.e. Rafah and Karni) subject to checks carried out by the Israeli Defense Forces (IDF) in co-ordination with the Palestinian Authority. Gaza to be allowed to build an airport to connect it to the West Bank by air. Exchange programs to be set up for students between universities and schools in the region to promote understanding and peace. Free trade to be established between Israel and Palestine and between Israel and the Arab States as a whole, allowing for international investment and development in the region. Israeli prisons within West Bank to be dismantled. This phase completes the implementation of the Arab Plan. An agreement to be reached with regard to the Golan, possibly along the lines of that envisioned in previous discussions which included a national park under Syrian Sovereignty in a demilitarised zone with free access from Israel. Jerusalem to be officially recognised by the UN Security Council as the capital of Israel “Yerushalaim” and of Palestine “Al-Quds”. The State of Israel to be fully recognised by the following countries participating in negotiations that have not already done so: the Lebanese Republic, the Syrian Arab Republic and the Kingdom of Saudi Arabia. The State of Israel to be fully and formally recognised by the League of Arab States. Requests Israel to reconsider its policies and declare that a just peace is its strategic option as well. I- Full Israeli withdrawal from all the territories occupied since 1967, including the Syrian Golan Heights, to the June 4, 1967 lines as well as the remaining occupied Lebanese territories in the south of Lebanon. II- Achievement of a just solution to the Palestinian refugee problem to be agreed upon in accordance with U.N. General Assembly Resolution 194. III- The acceptance of the establishment of a sovereign independent Palestinian state on the Palestinian territories occupied since June 4, 1967 in the West Bank and Gaza Strip, with East Jerusalem as its capital. I- Consider the Arab-Israeli conflict ended, and enter into a peace agreement with Israel, and provide security for all the states of the region. II- Establish normal relations with Israel in the context of this comprehensive peace. Assures the rejection of all forms of Palestinian patriation which conflict with the special circumstances of the Arab host countries. Calls upon the government of Israel and all Israelis to accept this initiative in order to safeguard the prospects for peace and stop the further shedding of blood, enabling the Arab countries and Israel to live in peace and good neighbourliness and provide future generations with security, stability and prosperity. Invites the international community and all countries and organisations to support this initiative. Requests the chairman of the summit to form a special committee composed of some of its concerned member states and the secretary general of the League of Arab States to pursue the necessary contacts to gain support for this initiative at all levels, particularly from the United Nations, the Security Council, the United States of America, the Russian Federation, the Muslim states and the European Union. Arab League member states that recognise Israel: Palestine, Egypt, Jordan. Arab League states that recognise Israeli passports: Bahrain, Comoros, Mauretania, Morocco, and Qatar. Arab League States with some measure of de facto recognition: Oman, Tunisia. Arab League States with zero recognition: Algeria, Djibouti, Iraq (i.e. non KDP Iraq), Kuwait, Libya, Somalia, Sudan, UAE, Yemen. Arab League States for which recognition would be regarded as impossible in the absence of a comprehensive peace: Lebanon, Syria, Saudi Arabia. At present UNSCR resolutions 181 and 194 apply which define Jerusalem as a corpus separatum. Canada is responsible for the refugee issue under the former Madrid process (i.e. Canada chairs the Refugee Working Group of the Middle East Multilateral Peace Process). Four of the largest Israeli settlements in the West Bank are all close to Jerusalem and difficult for Israel to surrender: Modi’in Illit (population: 60,046, area: 6 km2), Giv’at Ze’ev (population: 14,349, area: 4.8 km2), Ma’ale Adumim (population: 37,138, area: 49.18 km2), Betar Illit (population: 44,972, area: 4.3 km2). On the other hand the other large settlement, Ariel (population: 18,089, area: 30 km2), is further to the north and more isolated within the West Bank and its future might be negotiable. Israeli settlements not included in land swap agreements may be able to request a lease for the land from the Palestinian Authority (necessitates clarification of Palestinian local land laws). The RAND report ‘The Arc: A Formal Structure for a Palestinian State’ proposes that a railway be built linking the main cities of the West Bank and Gaza. This journey would take just over 90 minutes. It would not only provide economic benefits to the new Palestinian State but RAND estimate that it would employ 100,000 to 160,000 Palestinians over the five years they expect it would take to build. Possibly utilising the Nabil Shaath plan for a shadow port facility in Cyprus to handle goods clearance for Gaza. As per the secret second track negotiations in Switzerland between 2004 and 2006, including an arrangement (possibly a multimillion dollar long term lease) under the terms of which Israel would retain Mitzpe Shlagim (“Snow Lookout”). Furthermore there would be a four to one ratio for demilitarised territory in the demilitarised zone in Israel’s favour. This is what Lord Stone said on 23rd January 2016 in the Debate in the Lords on the question asked by Lord Grade of Yarmouth who wishes “To ask Her Majesty’s Government what steps they are taking to increase understanding of the Middle East.”. Lord Stone of Blackheath (Lab): The noble Lord, Lord Grade, is right. Peace will come only when individuals on all sides understand the narrative of the other side and open their hearts to their suffering. This is the route to peace between Palestinians and Israelis and here it is in seven stages in two minutes. First, Israel accepts the Palestinian belief that the 1948 declaration of the state of Israel was a Nakba—a disaster —and that the region is their homeland and they want consideration of the right to return. The Palestinians accept that the Jews believe that from biblical times the whole area was their homeland. Yes, the settler issue needs settling. Having understood this historical context and agreeing that they cannot live together comfortably as one state, they agree a confederation of two sovereign states—the state of Israel and the state of Palestine; one homeland, two states. Secondly, we now have the best international lawyers agreeing to help both sides work on a constitution of the two states. Israel already has a constitutional agreement. Palestine needs one. Also, jointly, they create an overall constitution for the new confederation. Thirdly, security experts on both sides decide how the separate countries run their own military and police force and how, in addition, there will be a joint military and policing authority working together over the two states. Fourthly, on trade and investment, and finance and currency, there is already a team of Palestinians, Israelis and investors across the world who have been working on a project called ‘Breaking the Impasse’, pledging billions of dollars to invest in the region, particularly in the new Palestinian state, once there is peace. Fifthly, on the holy sites, we have spoken to rabbis, bishops and Imams about the theocracy of the region and they will work together as they preach, with compassion and within their own golden rule. Sixthly, the Arab peace initiative, in 2002, was an all-in-one, take-it-or-leave-it offer, and Israel did not respond. A team is now working on a phased implementation of the API. In this way, 22 Arab countries would support the project. Seventhly and finally, the media, acting responsibly, do not talk up war and killing, but report on the process described here in informed, even-handed, compassionate and positive terms. There we have it. One homeland, two states and peace, in two minutes. I ask the Minister if Her Majesty’s Government might consider convening a meeting of leaders and experts with whom we are working from all sides, in each of these seven fields to try to develop this concept. As tensions grow between Israelis and Palestinians, there are worries that we may be seeing the beginning of a Third Intifada. Some already call the past three months the ‘stabbing intifada.’ Since mid-October there have been near daily stabbings or car rammings, both forms of popular resistance. 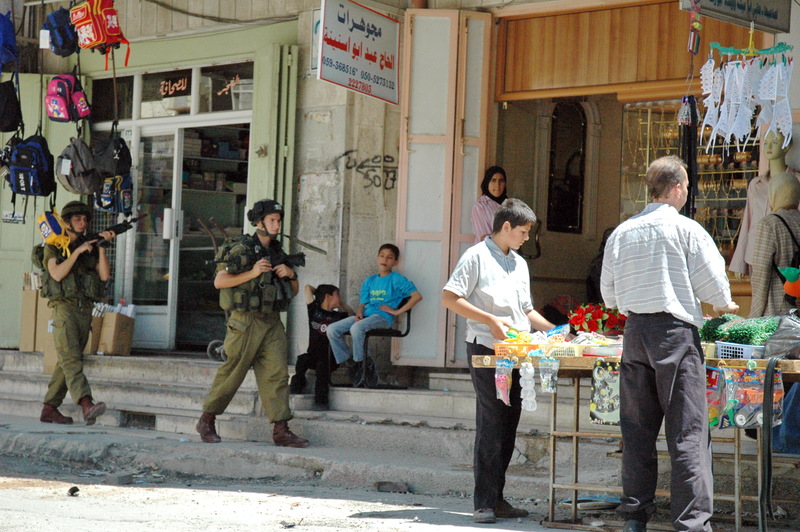 That these attacks have almost exclusively been in the form of stabbings is itself a consequence of the occupation. Beyond peaceful demonstration, Palestinians have few other resources or means by which to show their frustration at decades of occupation. This is in the face of disproportionate response from Israeli soldiers who instantaneously shoot dead culprits of any attacks. In the past week alone five Palestinians who either stabbed or attempted to stab Israeli soldiers were shot dead. In total 21 Israelis and one US citizen have died as a result of Palestinian attacks, while Israeli forces or armed civilians have killed at least 137 Palestinians in the same period, 87 of whom authorities described as assailants. This is not to deny Israelis the right to defend themselves in the face of attack. However, this uprising represents another call to look beyond what is happening today; to look at the bigger picture, and incur action, not only to stem the flow of these stabbings, but to work towards the promotion of peace. A New Intifada? : What Palestinians are Really “Shaking Off”. As the wave of violence increases within the West Bank many academics are labelling the rise of Palestinian violence the Third Intifada. Unlike the uprisings of 1987 and 2000, which fully involved the PLO, it seems that Mahmoud Abbas’s PLO is not partaking this time. With two-thirds of Palestinians stating they would want to replace President Abbas, it seems that the main thing the new Intifada is “shaking off” is Abbas’s control in Palestine. In his UN General Assembly speech two weeks ago, President Mahmoud Abbas stated that Palestinians would “no longer continue to be bound” by the Oslo accords due to Israel’s consistent violations. However, many Palestinian’s do not believe this will lead to any change in on-the-ground realities. The attacks over the last week have taken place in areas outside of the PLO’s control: Tel Aviv and East Jerusalem. This new generation of protestors are not, and shall not be controlled by their leadership, nor will they allow the PLO to have a role in the uprisings. Mahmoud Abbas’s uncompromising opposition to violence has left many of the new generation of Palestinians feeling disenchanted with the PLO. Over the past ten years Palestine should have benefited from numerous Western interventions, such as a regenerated West Bank economy, with help from the UK and the US. They should have also established a united Palestinian Government, and secured the release of numerous political prisoners. Instead, this generation of Palestinians have seen the gradual occupation of East Jerusalem, a security force which collaborates with the Israeli security department and the continual violation and occupation of the Al-Aqsa Mosque. This new Intifada is a defiance against a government which has increased the loss and despair of the Palestinian population. As lone wolf attacks by Palestinians continue within Jerusalem and the West Bank, each individual becomes their own leader. They “shake off” Abbas’s waning presence, and fight for their freedom. Something most believe Abbas has not succeeded in delivering. A week ago the Palestinian state flag was raised for the first time in the rose garden of the UN, fostering hope and symbolising the refusal to abandon a Palestinian homeland. The flag honours those lost in the fight for statehood, those in jails, those killed at checkpoints and those occupied in Gaza. However, the raising of the flag will not lead to the restarting of the peace process. Mahmoud Abbas’s statement that Palestine would no longer be bound to the Oslo Accords has confirmed the death of the 1990’s Peace Process. Just as Benjamin Netanyahu’s statement that Israel would “fiercely reject attempts to impose international dictates” on peace, weeks before severed Israel’s ties to peace. Such statements alongside rising tensions in the West Bank means that the peace process is now a distant memory. The flag has not rectified these issues. If anything it has created further ruptures within the already fragile relationship. The past week has seen several people killed from clashes in the West Bank, with many more injured. These deaths have emerged from the frustrations which have developed due to a lack of a foreseeable solution. Although the flag has highlighted issues with the Peace Process, it has also galvanised the tense situation in the West Bank. The raising of the Palestinian flag has not addressed any relevant issues but rather papered over their cracks. Whilst the UN may have willingly raised Palestine’s flag and accorded the state non-member observer state recognition, it has not come close to a solution for the conflict. As the Palestinian flag flew over the UN, Israeli Settlements deemed illegal by the UN continued to be built near the Palestinian city of Ramallah. The UN did not condemn such acts. Without UN support Palestine shall not gain statehood, nor secure the control of its towns and cities. These continual violations of marked borders have not been resolved through the raising of a flag. Nor has the flag settled the violence which erupts from these land disputes. The fact that the Palestinian flag now flies over the UN of course represents hope. However, it also overshadows the real issues at the heart of this problem. We must take the flag at face value. As for now, there is no Palestinian state, no Peace Process, nor a solution, there is merely a flag. A flag which represents hope to many but does little to improve the lives of those within the conflict, who remain in despair. The recent shooting of a young Palestinian student at an Israeli checkpoint has once again prompted Israel and Palestine to resort to blaming one another. Incidents like this have become indicative of the problems involved in sustaining a Peace Process, as both states attempt to garner support from the International Community for their point of view. A year on from the Gaza War, and following the re-election of Benjamin Netanyahu, an end to the ever-increasing cycle of violence between both states seems unlikely. The recent shooting is a stark reminder of the one major hurdle to the Peace Process: a lack of trust. On Sunday, an even more troubling outcome was that Israel’s security cabinet approved a crackdown on Palestinian protests. The legislation will allow Israel’s security forces to use their weapons more easily against Palestinian stone-throwers and increase punishment for young offenders. Justification for this legislation comes from the assertion that the young Palestinian student was trying to attack Israeli soldiers. Meanwhile the Palestinian state denounced the young student’s death as an inevitable outcome of a premeditated attack. It is arguably premature to enact legislation that amounts to a clamp down as a consequence of this attack when the real course events remains clouded. As both sides battle to prove the other’s hand in the killing, the collapse of trust the Peace Process becomes ever more evident. This ‘shoot first, think later’ strategy has become Israel’s default course of action in relation to Palestinians, and given the increasingly tightened legislation towards Palestinian activism, tensions are unlikely to subside soon. As the International Community continues to support the Palestinian state, Israel’s rhetoric will harden. Such micro-level incidents have proved a useful propaganda tool when it comes to Israel’s public shaming of so-called Palestinian terrorists. And, with tensions in Jerusalem heightening, alongside, this new legislation, the road to dialogue looks almost non-existent. Such tensions arise from a mutual lack of trust inherent in the relationship between the two states, and the two communities. These societal ruptures create a never ending cycle of blame that gets in the way of the important work that needs doing if we are actually moving towards peace.